India has had a dominating show at the Asian level and would like to reiterate that. The 2018 Asian Games is upon us and a lot is riding on the women's hockey team to better their bronze medal finish at the 2014 edition in Incheon, South Korea. The team come into this tournament after a quarter-final finish in the recently-concluded Women's Hockey World Cup. Ireland had beaten India 3-1 via a shoot-off in the quarters breaking the latter's 44-year-old dream of reaching the last four. This team had a fruitful 2017 with skipper Rani Rampal leading them to the 9th Women's Asia Cup triumph. The Asian Games squad was announced last month with forward Rani leading the pack. Ace goalkeeper Savita has been named the vice-captain and she will be joined by Rajani Etimarpu at the goalpost. 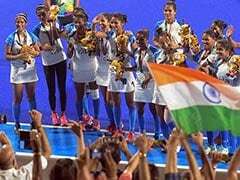 India's defence will feature the experienced Deep Grace Ekka, Sunita Lakra, Deepika, Reena Khokhar and drag-flicker Gurjit Kaur while the team's midfield will include Namita Toppo, Lilima Minz, Monika, Udita, Nikki Pradhan and Neha Goyal. Other forwards alongside the experienced Rani are Vandana Katariya, Lalremsiami, Navneet Kaur and Navjot Kaur. Chief Coach Sjoerd Marijne highlighted the need for the right mixture of youth and experience in the squad. "We have a good mixture of experienced and young players. I'm happy to note that each one of them have experienced what it is like to play high level matches," Marijne said. 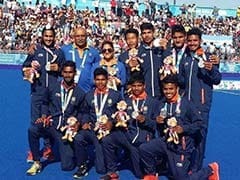 This is the best chance for the team to win gold given their successful Asian tournament outings (Asian Champions Trophy - winners in 2016; runners-up in 2018).